Should be easy since it was on the previous page. You took me out to that place once, but I can't remember where in the hell we were, or how to get back! I'm gonna have to do some serious memory searching, which will not be easy!! 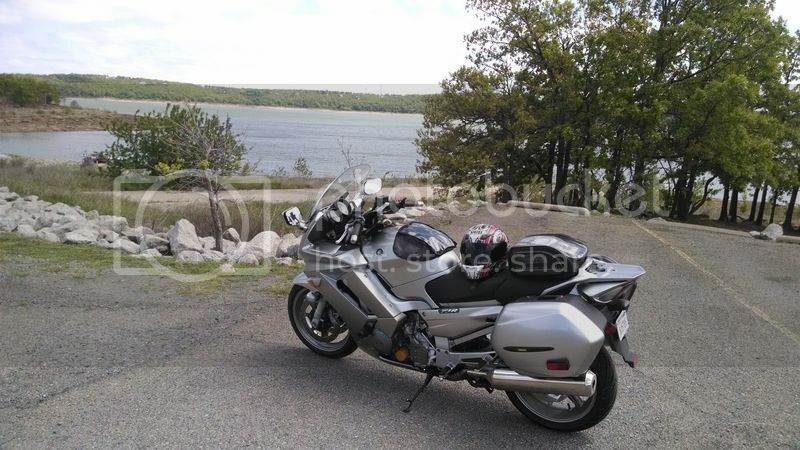 Ride around Skiatook lake. You'll find it. There isn't a taco stand there so be ready to ride more than 10 minutes. There isn't a taco stand there so be ready to ride more than 10 minutes. Hit one on the way out and one on the way back. That's not riverside. It's a lake. Being this is stale I'll just tell you. First boat area over skiatook dam. I knew where it was. I just hadn't been out there yet. We rode back through the Wildhorse area again today. I thought about getting this, glad I didn't now. At least you got this tag after the wild goose chase didn't pan out. Jay, did you take the BA home on the dual sports? I passed you guys around 21st exit or so. Thought that was you. I wanted to turn around and run you down, but I was getting hungry, so I went home.